The Photocopier Store was established in 1989 and have been providing the highest standards of service and care for the past 27 years. Despite many opportunities to be swallowed up by a number of major national companies we have remained one of the very true Family Businesses enabling us to set and work to our own very high standards. Neil Moores founded the company 27 years ago following a history of Technical Service and Sales with a number of Major Companies. He is still very instrumental in the operation of the business maintaining and setting high traditional standards coupled with the latest and most innovative technology to ensure exceptional levels of customer satisfaction. Chris Moores our Sales Director having previously spent many years developing the Technical side of our business uses his vast experience and knowledge gained to ensure we select and provide only the finest equipment for our customers at the most competitive prices. Jon Moores is our Field Service Director. Having years of experience in field service himself he is responsible for our team of Technical Engineers ensuring rapid response times, quality of service and machine uptime. Matt Moores our in-house Service Director takes responsibility for every piece of equipment that leaves our premises. Whether its brand new out of the box or fully reconditioned he ensures that every single machine is prepared to the very highest standard. As a Company and a Family we eat sleep and breath Photocopiers and thoroughly enjoy every minute. We have our own set of values, are not responsible to anyone other than our customers and take every step not to let anyone down. Steve our General Manager knows every aspect of our business inside out and is responsible for our highly qualified, hand-picked administrative team. His policy is “we are only as good as the people that look after you” and he will ensure that we do. Like the rest of our business we like to take everything one step further and our fully computerised systems are second to none. Developed in house our software controls, measures and monitors every aspect of our operation. We have invested heavily in the remote monitoring of in field equipment which allows us to send replacement consumables before you run out. We can even log onto your system, (with your permission of course) to help resolve any networking and connectivity issues. Our Manufacturers tell us there are many new innovative support systems coming soon and you can rest assured we will be at the forefront of the new technology. 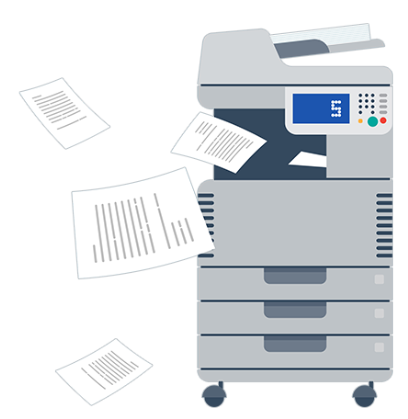 Photocopier and Printer Repairs at the lowest possible rates. Toners and Consumables, Next Day Delivery throughout the UK!. Have a question? Ask an expert here and we will be happy to help! Let me say something. You have an amazing team and amazing support. They helped me on the weekend. This is what I call an “extra mile” in customer relationship. So I gave 5 stars for the team and if I could, I’d give 10 stars for support. We decided to lease a photocopier as it was not ethical that we purchased one upfront and the support you get is worth it. It is very convenient and the customer service is very reactive. Amazing Team and top class support, as I’m new to the photocopier industry, The Copier Shop Team helped me above and beyond and was more than patient, their responses were quick and they have a genuine care for you to enjoy and move forward with your business! Highly recommended.